In its 14th December 2016 issue, The Times ran the headline: "Celebrity trend for designer dogs fuels huge rise in dog thefts", going on to state that Chihuahuas, Pugs and French Bulldogs were the top three breeds stolen. But these top three breeds were not just threatened by theft but by ultimate decline. Popularity has led to the demise of more than one breed of the domestic dog. A lack of popularity has resulted in the disappearance of more than one breed too. One generation favours the Boxer, the next can't get enough French Bulldogs and Pugs. Such swings in public taste can be sparked in today's celebrity-led world by breeds becoming popular not because of what they offer but who else owns and shows them off. Royal ownership in the 1930s led to the Corgi becoming a national favourite - for a while; in 2015, the Cardigan Corgi was listed as a 'vulnerable breed' and its sister breed from Pembrokeshire included on the 'at watch' list. Such 'see-sawing' is very bad for breeds and not good for dogs as a whole. In the next decade our list of terrier breeds is likely to be decimated as ancient breeds lose favour and novel 'utility' or Toy breeds achieve 'celebrity' status. Such overnight popularity however will lead to the latter being so badly bred, in the response to sudden fame, that they too will fade from public view; fashion favours the few! The remarkable surge in breeds like the French Bulldog (nearly 15,000 registered in 2015) and the Pug (over 10,000 registered in 2015) leaves our native breeds like the Norfolk, Manchester and the Lakeland Terriers, each with under 200 registered in 2015, looking unwanted in their own country. Yet I see sounder specimens in these three breeds than in the former two. I suspect too that several thousand badly-bred and poorly nurtured Pugs and French Bulldogs are being imported without 'papers' from puppy-farms abroad each year solely due to their 'celebrity' breed status. Bad news! Past records indicate the penalty to a breed from temporary fame. Any breed of dog that goes from over 7,000 registrations a year to under 700 a year is under threat. A breed which goes from nearly 3,000 registrations a year to under 200 is in danger. These statistics which refer to the wire-haired and smooth-haired Fox Terrier respectively, span 80 years but the diminution in each case is unique. The rise of several breeds, like the English Springer Spaniel, the West Highland White Terrier, the German Shepherd Dog and, especially the Labrador Retriever, has been remarkable, even astounding. But no breed has lost ground to the degree of loss suffered by the two Fox Terrier breeds. The emergence and popularity of the Jack Russell, in all its forms, has played a part in this but there must be other reasons too. I have seen more Fox Terriers at rural shows in France, where they are worked, than in Britain, where they are not. From 2006 to 2015, there were fewer than 200 Smooth Fox Terriers newly registered in Britain each year; in 2015 only 672 Wire-haired Fox Terriers were registered against nearly 5,000 Staffies and well over 5,000 Border Terriers; ten sporting terrier breeds are on the vulnerable breeds list. I wonder how wise it was to seek separate breed recognition for terriers carrying a different coat but coming from the same root stock, as in the Fox Terrier. The St Bernard, one breed embracing both a rough and a smooth coat, prospers. The Scotch Collie, separated into two breeds, Rough and Smooth, shows a big difference in the two, with the Rough producing ten times as many registrations annually as the Smooth. In both the Collie and the Fox Terrier the smooth coated breed suffers in comparison. Is the coat texture a reason for public preference? Is the recognition of coat texture as constituting breed status a factor? The whole basis on which breed recognition is based has long been a mess. The recognition fiasco in the Belgian Shepherd Dog breed illustrates my point: one year we have four breeds under this one title, the next we have one breed of four varieties, then back to the previous arrangement. Poor confused breeders! Where is the benefit? In judging appointments perhaps! Recognition of more than one breed from the same root really does make a difference. Once the different breeds have become established with their separate stud-books, each gene-pool becomes sealed and genetic isolation results. This is artificial and not how nature works. But just as crucial is the work of fanciers who develop breed points to the degree where the two breeds, from the same origin, are bred and judged differently. I would question the wisdom of this. 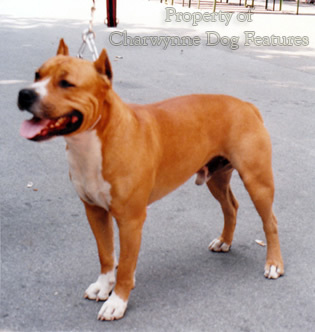 Some breeds bearing the same basic breed name but featuring different coat textures have developed from separate roots. The German Pointers demonstrate this and I can understand separate breed status for the Wire-haired and Long-Haired from the Short-haired breed. This is not the case in my sample breed - the Fox Terrier. In his Modern Dogs (Terriers) of 1896, Rawdon Lee writes on the Fox Terrier: "...the two varieties ought to be identical, though one has a smooth, close coat, the other a hard close coat and somewhat rough." In his The Popular Fox Terrier of 1950, Rosslyn Bruce writes: "The two varieties, the Smooth-coated and Wire-haired, are fundamentally the same breed..." Both these writers were experts on the breed and worthy of note. Both record in detail a common origin for what is now two distinct breeds. So many pure-bred dog breeders are obsessed with breed purity when they should, if they truly care about their breed, be obsessed with sound functional dogs. I know several country dog owners who have had small terriers for years, who when they go to view a litter of pups, like a variety of coat textures to choose from. What is the sense of further restricting a gene pool? There was once an outcry because a French breeder had mated a Wire with a Smooth Fox Terrier. Professional terrier-men, who actually use their dogs, would give a wry smile if they came across such an approach. If this were happening in a breed at its zenith, oversupplied with quality dogs, I would not be surprised. But for this approach to be assumed in a breed in its nadir defies belief. This is a breed I admire (and for me it is one breed). I have visited their rings at shows over fifty years and rarely been pleased with the entry. Upright shoulders, open coats in the wires, snipey muzzles and too short a back seem to be acceptable features. 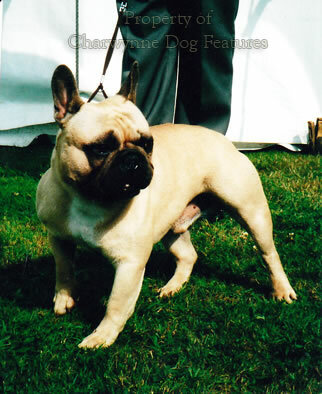 The breed standard however demands sloping shoulders, well laid back and, in the wires, a dense very wiry coat. Both are required to have short backs without the degree of brevity being stipulated. This is no feature for an earth-dog breed; cobbiness may look smart 'on the flags' but it's a considerable handicap underground. Rosslyn Bruce objected to the craze for long heads and the obliterated 'stop' which accompanies this feature. 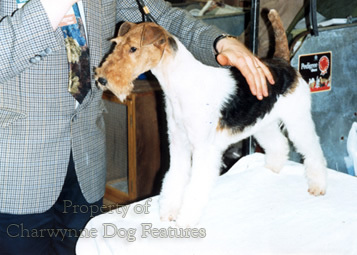 Most of the show Fox Terriers I see have long heads and hardly any 'stop' at all. He also wrote that: "An erroneous impression is prevalent that a Fox Terrier must be squarely built, and that by standing the Terrier sideways on, if of the ideal build and shape, he should fit into all the sides of a square." He then makes a convincing argument against too square a dog. Yet, time and time again, down the years, I have seen square Fox Terriers win prizes at prestigeous shows. Perhaps, as in so many breeds, the dogs are being bred to win prizes and not to improve the breed. To be fair to today's breeders many of the faults I see are hardly new. But the fewer the numbers in a breed then the more important is the residual quality. In The Kennel Gazette of 1884, there is a critique which reads: "Diadem, the once-sensational, and the only remaining entry in the class, being third. She is far too short in body for my taste, has upright shoulders, and is not enough of a working terrier." For a Smooth-haired Fox terrier to come third and be 'once-sensational' with these shortcomings is depressing. In a critique of 1933, Major Hayward, reporting on a Wire-haired entry, wrote: "With few exceptions looseness at elbows, weak fronts and bad feet and unsoundness prevailed, while hocks were too far away from the body." He would not have liked the contemporary fetish for the hocks to be too far away from the body in far too many 'flashy' breeds. 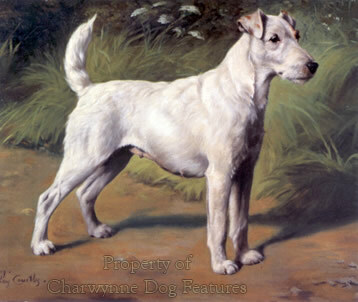 In the 1950s, Colonel Phipps was writing on the entry of the same breed: "I only hope for the sake of the breed that it was not a representative one as otherwise the outlook is not good...I am still of the opinion that breeders are losing or have lost sight of the fact that a Fox-terrier is primarily a working dog." Time and time again, show fanciers admire a breed so much that they can't wait to move it away from its original blueprint and a word picture related to the function which shaped the breed. I'm not sure whether this is arrogance or ignorance, but it is destructive. Of course all breeds go through low periods and attract unfavourable criticism. But the Fox Terrier does not go from bad to good. In the 1980s, I was reading critiques which read: "What is happening to our breed? Many exhibits fail in quality, movement and presentation." Another one stated: "The overall quality in Wires, especially dogs, isn't bad, it's appalling. Never did I think that the standard could become so low." 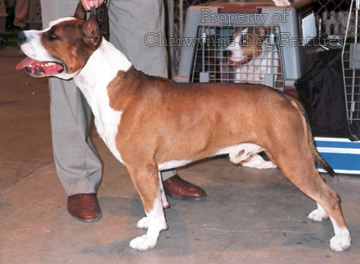 More recently a judge at the Windsor championship show wrote: "...the breed is still in the doldrums...I believe that the breed is being influenced by either unknowledgeable or indiscriminating breeders and exhibitors, and rather more so the judges...narrow elongated skulls with incorrect eye placement are becoming the accepted. Such heads are deplorable." In the fifties, Jack Smith, owner of the world-famous Florate kennel, gave this view: "However good he otherwise may be, the dog whose head conforms to the standard, might just as well remain at home for all the chance he has of going to the top, no matter who the judge may be." 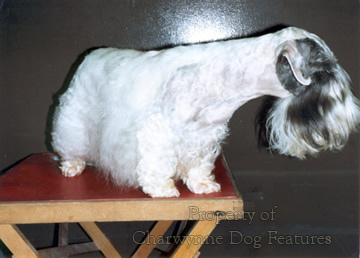 In the fifties too, one fancier, Mrs Pearce, was quoted in Our Dogs as attributing the breed's decline to "the public's aversion to exaggerated long heads" and the need for extensive 'barbering' on the coat of the Wire. For me the long foreface is untypical and the total lack of 'stop' not true to the prototype. If you look at early depictions of the breed, you see a different head, a harder truly wire coat and quite beautiful shoulders. Now I see no 'bump in the front', just an uninterrupted line from throat to toes; it is no solace to find this undesirable feature actually described as a 'Fox Terrier front'. That is in fact the ultimate affront! When I wrote despairingly in a national magazine about the upright shoulder now being a Fox Terrier breed feature, I had a firmly-worded response from a lady breeder telling me I was mistaken and to mind my own business. 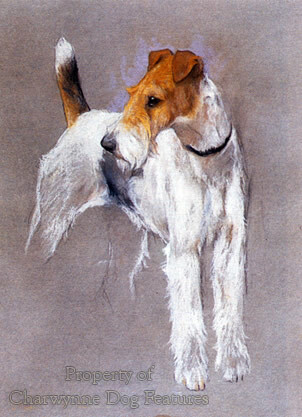 Shortly afterwards, I read a show judge's critique on the breed that read: "Upright shoulders giving restricted reach in front movement were common..."
In his book on the Wire-haired Fox Terrier, in the Dog Lover's Library series (1958), Stanley Dangerfield condemned those who follow fashions blindly when it comes to choosing a breed. He wrote: "The stupidity of this shows up when we think of the other breeds that have followed the 'Wire' in the forefront of fashion. Presumably the 'fashion-at-all-cost' brigade had a Wire in the twenties, an Alsatian in the thirties, a Cocker in the forties, and now a Miniature Poodle in the fifties! Could any four breeds less like one another be found?" His annoyance is palpable. His book did however contain eleven pages on how to 'trim and present' the breed. People leading busy lives in today's society are unlikely to want to devote that much time to a dog's coat. Grooming zeal in one generation can lead to empty benches in the next! I can understand why some breeds decline in numbers. In 1924 and 1925, over 2,600 Sealyhams were registered in each of those two years. In the last six years only 338 have been registered in grand total. People leading busy lives do not want to spend time on a profuse near-to-the-ground coat. The working Sealyhams that I see at country shows have longer legs and shorter coats. 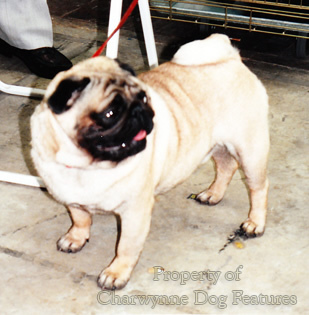 They are usually scoffed at by show breeders. I suspect the working variety will outlive the show dogs. The rise of the Parson Russell Terrier in the last twenty five years tells me that the public dislike exaggerated dogs and prefer manageable coats on their household pets. Yet a charming breed like the Manchester Terrier, smooth-coated and unexaggerated, struggles to attract the public interest. Pugs and French Bulldogs may be super-popular, but, as I have stated, I see more poor specimens in these two breeds than in any other. Buying a pup on the internet then collecting it at a motorway service station is not the most intelligent way to become a dog-owner, but I hear of more such cases each year! When, some years ago, I judged a working test for Curly-coated Retrievers and found the breed so unspoiled, engaging and willing to work. But discussing this breed with shooting men, I came across the rumours - unfounded allegations of hard-mouth and a lack of early maturity, as in the Labrador. But when pressed, not one of the Curlies' critics had ever owned one or seen one in the field. Blind prejudice is still alive and kicking! The amazing success of the Labrador can be put down to sheer merit but there is a measure of wanting what everybody else has got in this rise to fame. The early Labradors were favoured by the landed gentry - the sporting 'celebrities' of their day. Human fickleness too plays a role in breed popularity. Eighty years ago, Airedale registrations were around 5,000 a year, nowadays it's under 700; Cocker Spaniels attract around 22,000 registrations a year, eighty years ago it was around 4,000. Some fanciers dread over-popularity for their breed and I can understand why. Standards drop in the blind pursuit of profit! Over the last two decades the dog population has fallen by 17%. One expert has predicted that over the next twenty years there will be a further fall of 20%. These are difficult days for those breeds already losing favour; those with under 100 registrations a year could in time be lost. Do we really need another 32,000 Labradors each year, however admirable the breed, when some of our native breeds are under threat? The demise of the Fox Terrier exemplifies a problem, the combination of public fickleness, the emergence of a rival like the Parson Russell (in the ring and the ubiquitous Jack Russell out of it) and a departure from the blueprint. Favouring the few - over-fancying certain breeds for a while before turning to another, spells 'curtains' for some of our native breeds as well as those all too casually, arguably foolishly, imported then dropped - is bad for the domestic breeds of dog; each one needs a sizeable gene pool embracing depth as well as diversity of colour. Perhaps there is one 'golden rule' in fancying a breed: if celebrities favour it this year then its future years, and its soundness, can be catastrophic! A century or so ago, the Fox Terrier was known affectionately as the 'King's Dog' following royal patronage - hasn't had a great long-term effect has it!